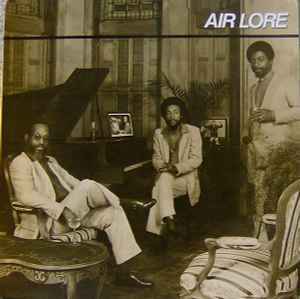 In the late 70's there was a a brief fad for ragtime in films and shows tunes like The Entertainer became popular again, Air were not a revival band but this album features interpretations of several Scott Joplin pieces and remains a classic of jazz repertory. Ragtime was a piano style, mainly through composed with no improvisation, a pianoless trio Air modernise rags by making them swing, opening up sections of the compositions for solos. The three are great, creative musicians, able to play in an older idiom, in a individual way. "King Porter Stomp" is a Jelly Roll Morton tune with exciting riffs and hard driving bass by Fred Hopkins, Steve McCall gets a drum solo on "Weeping Willow Rag", Threadgill on the ballad "Buddy Boldens Blues", one of the best things he has done on Tenor Sax. A poignant solo and my favorite track on this fine record.